Therismos | Jo Menhinick Design Ltd.
Therismos, meaning ‘harvest’ is a pharmaceutical company based at Stoke Prior, Worcestershire. They needed a brand that would communicate a clean, efficient and trust-worthy operation. We created a media library of graphic designs based around a theme with drugs at the core. If you look carefully at the design you will see the tablet shapes and capsules in the flowing, organic chapes we created. 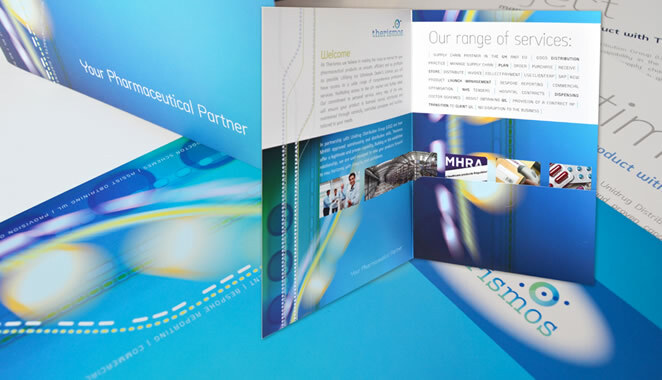 Whilst a ‘clinical’ design we also communicated something with warmth, appeal and optimism. We hope that this will help carry forward the company’s varied activities for many years ahead.